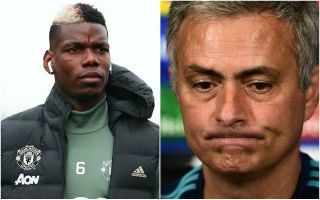 Manchester United star Paul Pogba wants a January transfer away from the club, largely due to Jose Mourinho failing to bring in Cristiano Ronaldo this summer. The Portugal international was available for transfer and ended up swapping Real Madrid for Juventus in one of the major moves of the whole summer window. Remarkably, according to Don Balon, Ronaldo was offered to United on ‘several’ occasions, only for Mourinho to turn the offers down. The Spanish outlet claims this has angered Pogba and fuelled his desire to leave Old Trafford, with a link-up with Ronaldo at Juventus, or a move to Barcelona this winter, his preferred options. The France international is undoubtedly one of the best midfielders in the world on his day, as he showed in a spell at Juve earlier in his career. The Serie A giants have gone from strength to strength since Pogba’s departure to United in 2016, and it’s little surprise he may now feel moving back there would be a step up as United continue to struggle. The Red Devils have lost two of their opening four league matches this season already, after finishing a distant second to Manchester City and losing the FA Cup final last term. And Don Balon claims Pogba was awaiting big-name signings this summer which never came. Much has been made of the 25-year-old midfielder’s form under Mourinho, and it seems the Portuguese tactician’s failure to sign Ronaldo has also played a big part in persuading the player to quit the club as soon as possible.